The Outward Hound Hide A Hedgie is one of the newest puzzle plush toys for dogs. This boredom buster stimulates mental play with squeaky hedgehog finds. 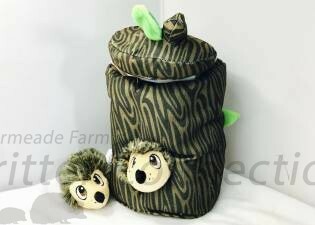 The Hide A Hedgie soft puzzle dog toy was created to keep dogs occupied and help to eliminate boredom in a challenging and interactive way. The plush tree trunk is great for hiding Hedgies, and they are easily removable for toss and fetch fun!